Keep your favorite four-legged fan warm with a satin jacket just like the players wear in the dugout; with snaps and pocket trim; fleece lining for extra warmth and velcro closure. Officially licensed. 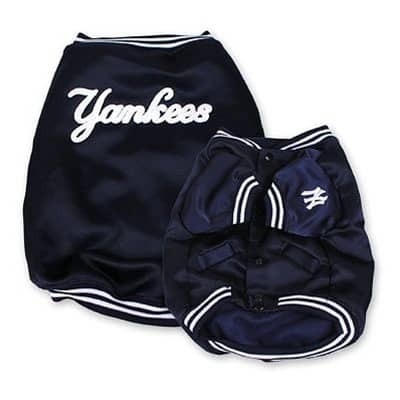 Keep your favorite four-legged fan warm with his or her own officially licensed New York Yankees Dugout Jacket just like the players wear AND show support for your team at the same time!